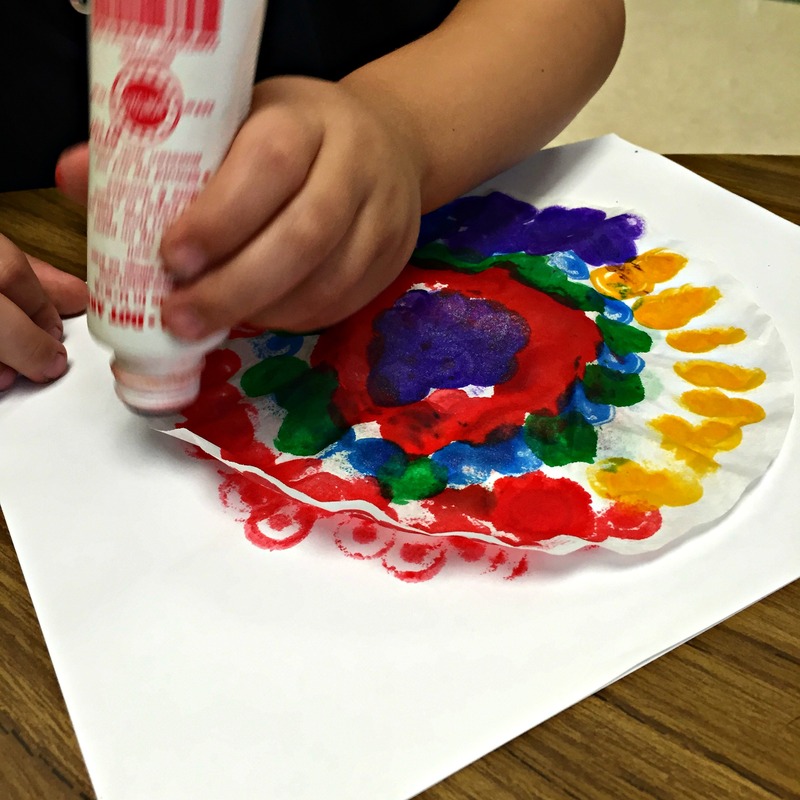 Check out this favorite Springtime craft of mine. 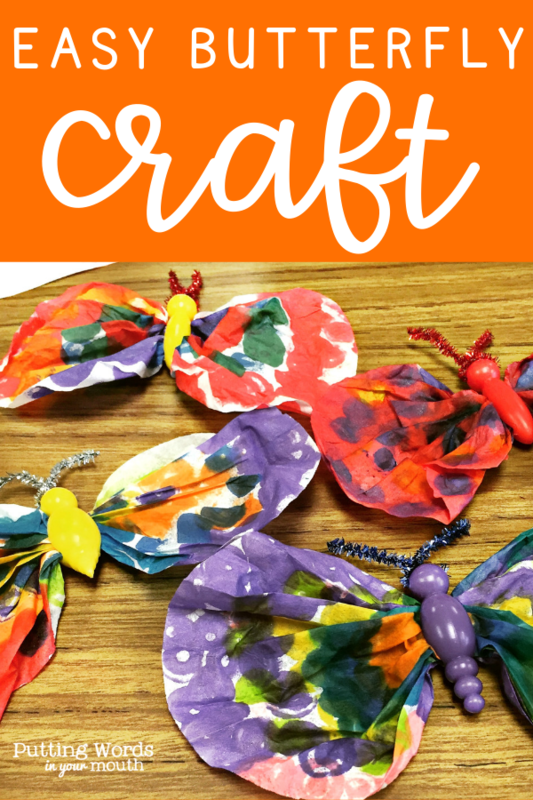 Whether used as an extension activity after reading that classic caterpillar > butterfly book or as part of a bug unit, this craft is unique and fun but also simple enough even for your kids to need minimal help. 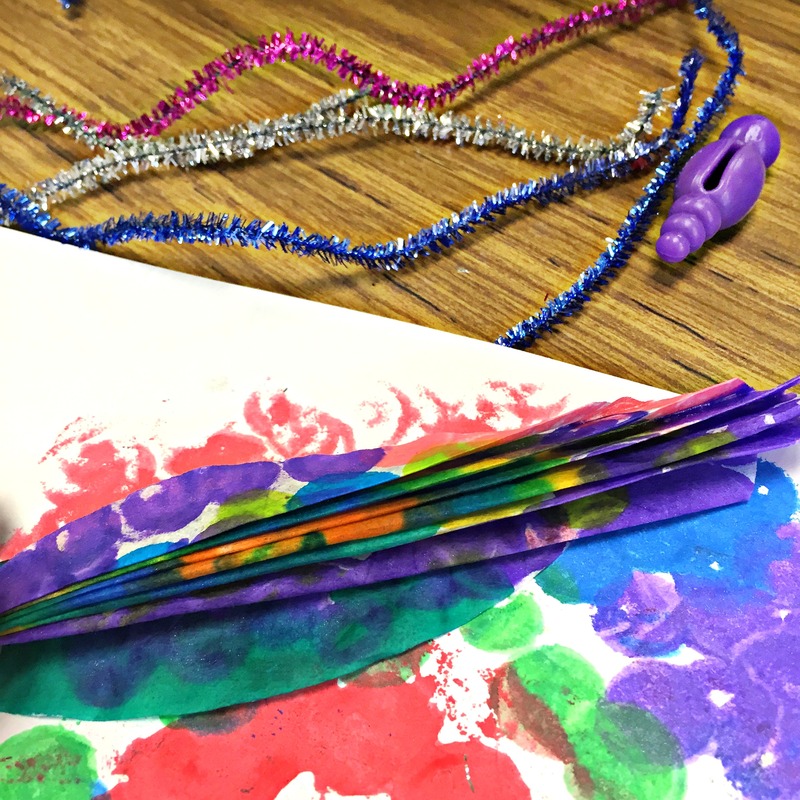 Also, it never fails that by the end of the lesson, your students will be flying their colorful butterflies all over your classroom or therapy room. 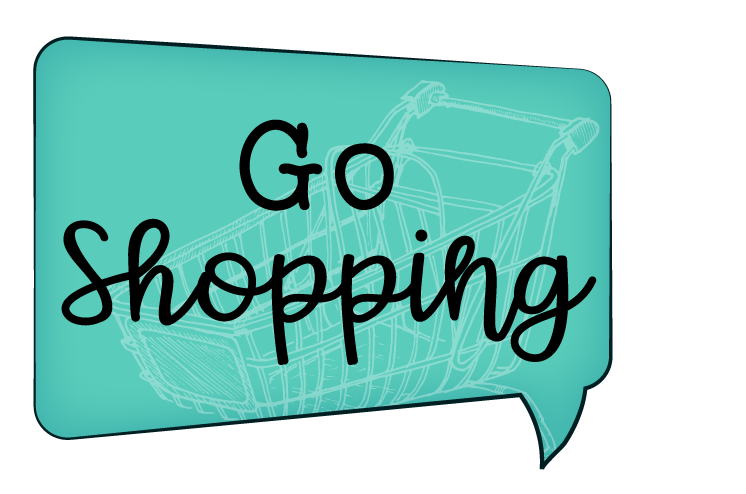 *This post contains 1 affiliate link. 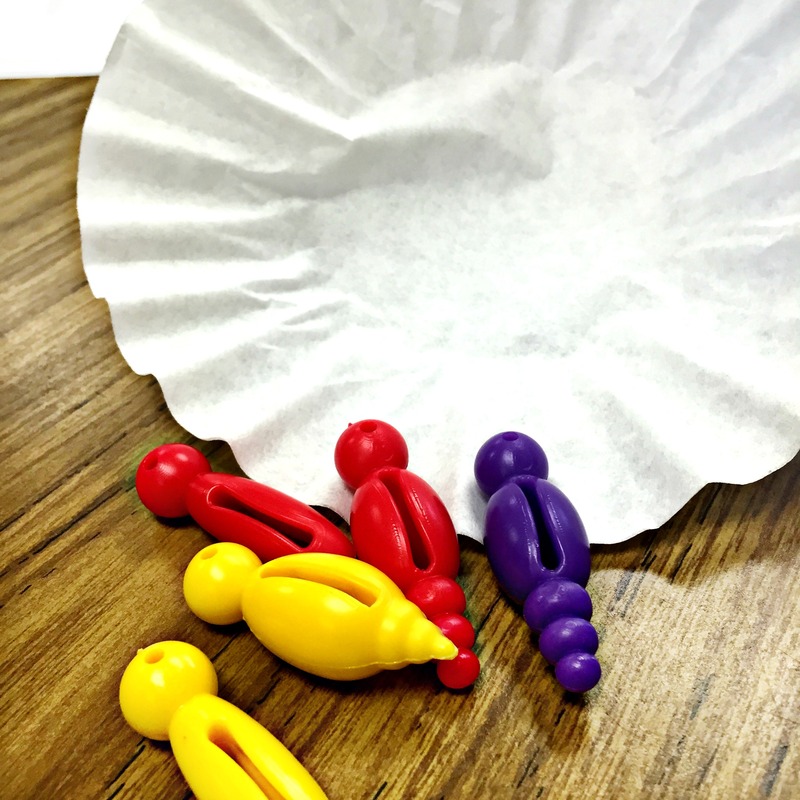 You will need 1) one large coffee filter per student (not the cone type) 2) dot paint/bingo daubers in various colors 3) pipe cleaners (each student will only need half or 1/3 of a pipe cleaner) and 4) bug bodies which can be found HERE (shown below). *A painted clothespin can always be substituted for the bug bodies if needed. Just be careful that the filter doesn’t get wet because it will tend to tear if it becomes soaked. 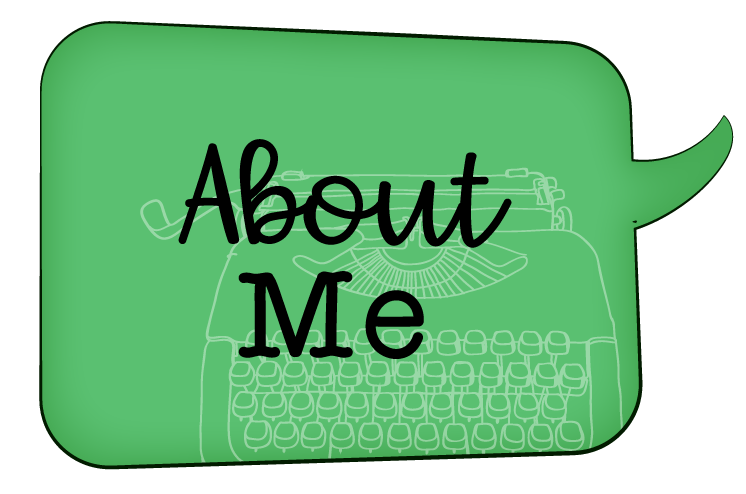 Here’s another idea… Do you use the Expanding Expression Tool (EET)? 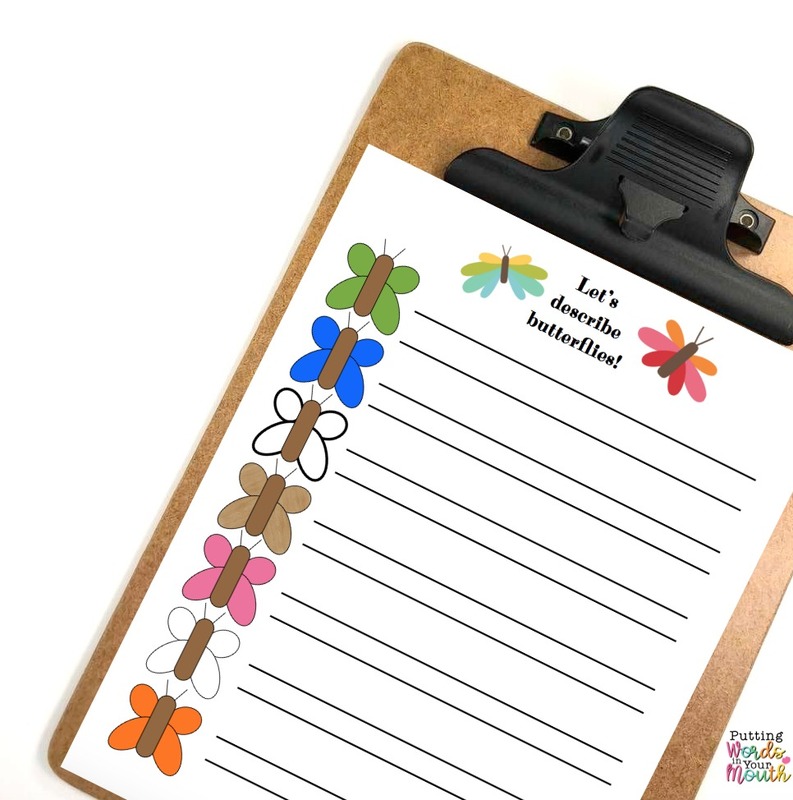 Use this activity to work on describing butterflies! 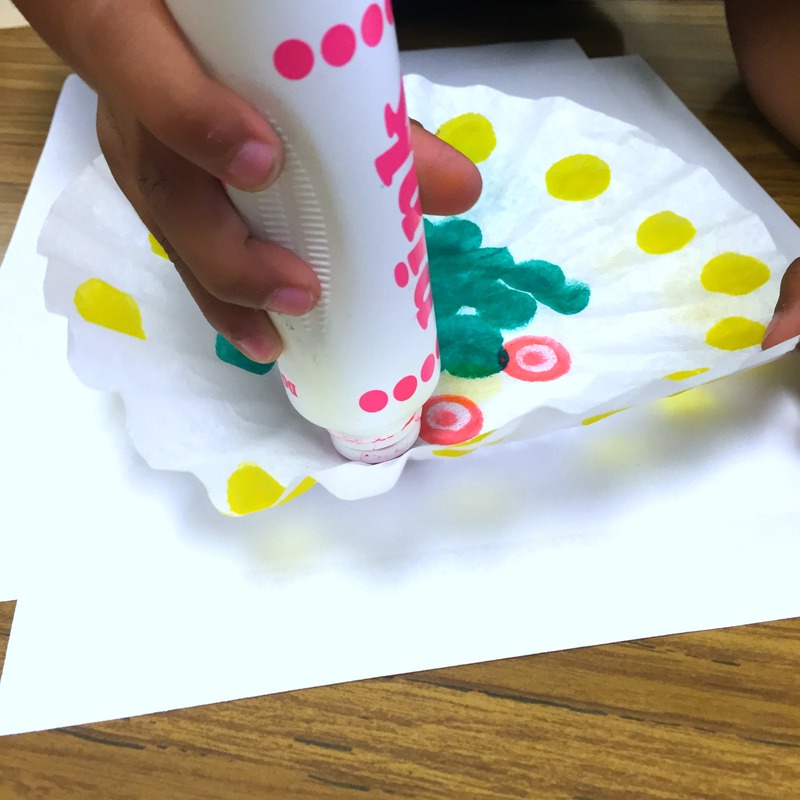 When your student tells the “group,” allow her/him to add green dots to the coffee filter “wings.” When she/he tells “blue do” (what butterflies do). all the child to use the blue paint to decorate the filter, and so on. You can find this EET companion and more HERE. After the students feel their butterfly wings are just right, it’s time to starting folding them! Show the students how to fold the filter into a fan. If the coffee filter is still moist, they must be careful or it will tear. Start with the filter facedown and fold one end 1/2 inch or 3/4 inch. Then flip the filter over and fold in the same manner. While they do that, gather the bug bodies and and cut the pipe cleaners into halves or thirds (depending on how long you want the butterflies’ antennas to be). Students should continue to flip and fold until the whole filter is similar to a flat folded fan and can slip into the slit of the bug body. You may have to help to slide the wings into the bug body. 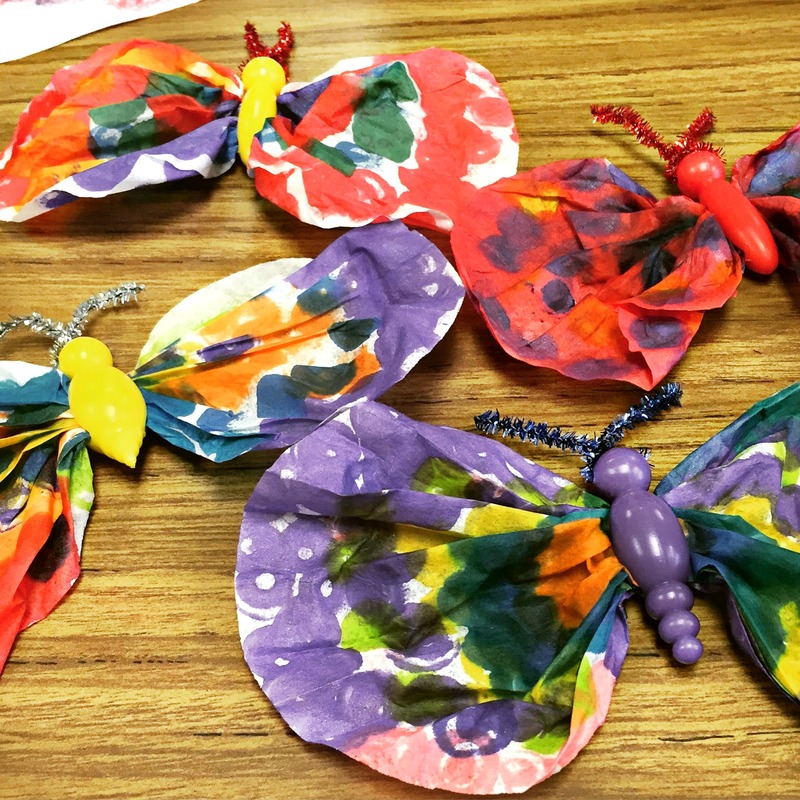 After the coffee filter is fitted through the bug body, model how to unfold and open the wings so that they look like the wings of a butterfly as shown above, and then allow your students to do it. If the wings happen to tear- don’t panic – just mend with tape on the back. Give each student a pipe cleaner “antenna” (or have them complete a task to earn it) to put through the holes of the bug’s head. Direct them to twist the pipe cleaner and make it look like antennas. TADA! A beautiful butterfly! Explain how each butterfly is unique and special (just like they are)! 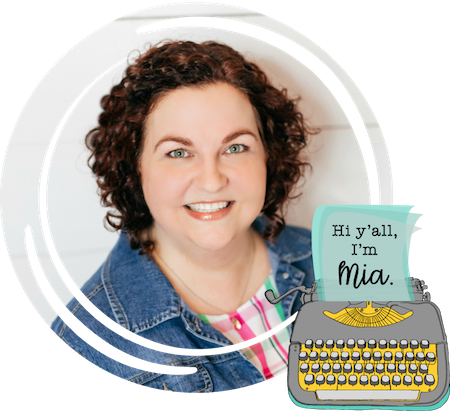 Let your kids name their butterflies, pretend to fly them around the room, and “talk” to their new butterfly friends, etc. 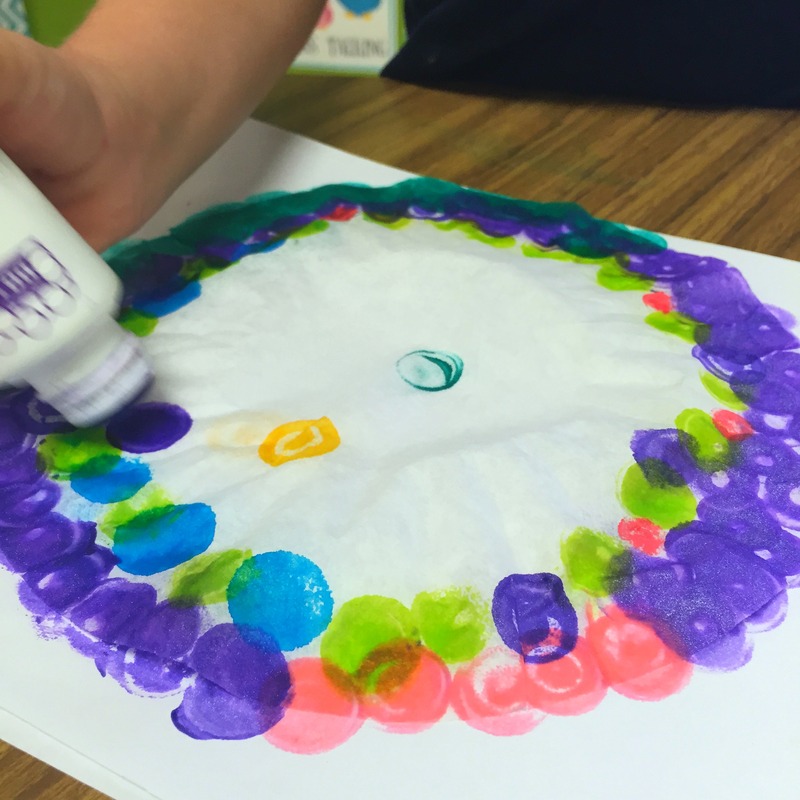 Students can take them home or you can use them to create a beautiful Spring themed bulletin board! Happy Spring, y’all!